Singapore actor Li Nanxing has a nickname. "They call me Mr Bo Chap," he quips, referring to the Hokkien term for "cannot be bothered". His laid-back attitude may explain his relatively low profile over the past few years. He scores meaty roles in local productions, but lounges in the shadows of more heavily promoted stars. Neither does he do social media. But while he may be "bo chap", he has not been idle. At 50, he stars in his first Taiwanese drama Justice Heroes, in one of those bad-boy roles he has become so comfortable playing over the years. The series is available on VV Drama On Demand (StarHub TV Channel 857). Li is also in a Chinese short film, Love Never Fails, where he plays the forgiving father of a delinquent prodigal son. Released to commemorate Father's Day earlier this year, the video has received more than 15,000 views on Chinese streaming site Youku. He has been busy behind the scenes too. Earlier this year, he signed on his first artist - Singapore actress Constance Song - under his talent management agency LNX Global, which is named after the initials of his name. And while he may be "bo chap", he has no qualms about starting off as a newbie abroad at his age, despite being considered an Ah Ge, or Big Brother, in Singapore entertainment circles. Showing humility, he quotes the Chinese proverb huo dao lao, xue dao lao, which means to keep learning as one ages. Although he has 28 years of acting experience and three Best Actor Star Awards under his belt and the Taiwanese media hailed him as Singapore's answer to Chow Yun Fat, Li still felt the jitters about venturing abroad. "What if my performance didn't match their expectations?" Li says in an interview with Life. "Ratings is their No. 1 priority. If the ratings for a certain segment aren't good, it means audiences don't want to watch it and the character may get written out." When he flew to Taiwan for filming in December, he encountered a fast-paced schedule and ad hoc changes to scripts, on top of the foreign environment - all of which contributed to his nerves. His opening scene is action- packed - his character is on the run and exchanges punches with his pursuers. He later shows up as a high-ranking executive in a property developer firm, but there is more to his identity than meets the eye. The long-running crime drama features different cases and Li stars in the 31st instalment called Zhen Bian Ren (which roughly means the person who knows you the best, such as one's spouse who sleeps next to you). Li, who is divorced from former actress Yang Libing and has no children, can heave a sigh of relief. He probably did a pretty good job with his role. When some women spotted him at a Taipei garment wholesale market, they called out to him using his character's name, "Hsia Chun Hung", he recalls. The television executives at Taiwan's Formosa TV want him back on the show, says his manager, Ms Teri Tan, 50. He has had to return to Singapore to film MediaCorp's show business- themed drama, Dream Makers 2. Ms Tan says she has the actor's plate packed with overseas projects, including a Taiwanese drama, a Chinese drama and three movies co-produced by China, Taiwan and Singapore. While she declines to reveal details about his roles in these projects, there is a good chance Li plans on sticking to his trademark brooding, masculine roles. Playing a flamboyant gigolo or a lovey dovey Korean drama male lead - both of which are roles he says he has been offered - are simply not his cup of tea. Animatedly recalling the Korean drama offer, he says: "I was initially pretty drawn to the idea of playing a brave soldier that was captured. But there was a flashback scene and I got a shock." Ms Tan, who has known Li for 25 years, interjects: "He doesn't like getting all cuddly and intimate on-screen." She co-owns with him a movie company, Cornerstone Pictures, which has invested in five films including Li's directorial debut, The Ultimate Winner (2011). She has been his manager since they started LNX Global together in 2004. This was a year after he quit being a full-time MediaCorp artist. He was the agency's only artist for 11 years, till they signed actress Song, 40. One would think that anyone who starts an artist management agency without signing any artists for 11 years is the epitome of "bo chap". But Li has another take on it. He says he and Ms Tan are selective about who they sign on. They chose Song for her bilingual and acting abilities, and LNX Global has just secured a six-figure beauty and wellness endorsement deal for Song and Li. He says: "I don't want to sign on artists and have them sit around with nothing to do. I must make sure they have work." When he puts on his talent scout hat, he says that he values substance over looks. "If you look on the streets of Taiwan and China, there are plenty of pretty girls and handsome guys. A lot of them are simply flower vases - good to look at, but have no substance." "What I'm looking for are actors with a mind of their own." Dream Makers 2 premieres on Channel 8 on Dec 3 at 9pm . The show will air on weeknightsat 9pm. Justice Heroes is available on VV Drama On Demand (StarHub TV Channel 857).Li Nanxing's instalment starts from episode 248. Teen delinquent Chen Yong On The Fringe pushed the envelope with its daring portrayal of teen angst and dark issues from abortion to suicide. School dropout Chen Yong (Li Nanxing) belongs to a gang of six troubled teens. One of the rebellious lasses was played by his former wife and actress Yang Libing. The role made Li a household name and earned him adoring female fans who sent him tons of fan mail. The epic trilogy was Singapore's TV version of Romeo and Juliet, albeit set in the gambling world. Yan Fei (Li) and Luo Qifang (Zoe Tay) - the scions of feuding gambling families - fall in love. The star-crossed lovers have to overcome the odds. The Unbeatables was the most-watched serial in 1993. The gambling couple continued their love story in the second and third instalments. Teen delinquent Ah Bao (Li), or Leopard, ends up behind bars after a pal's betrayal. Thoughts of revenge give way to compassion when Ah Bao realises that his traitor friend has become a mentally disabled cripple. He even takes care of his chum's two children. 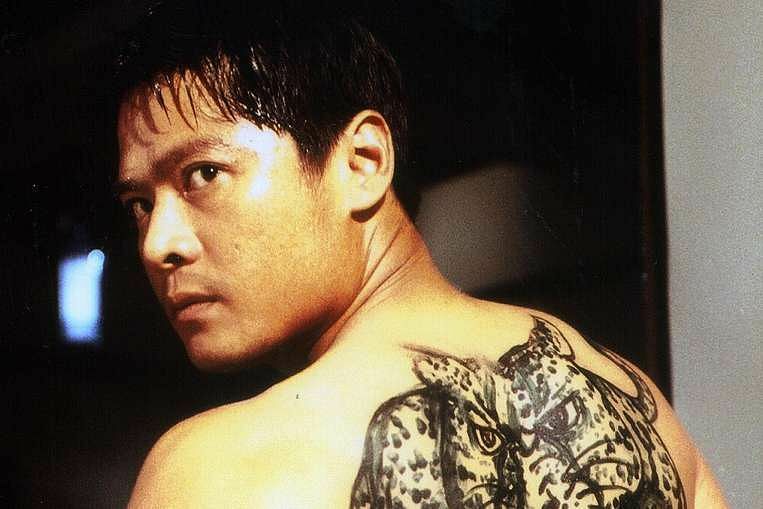 Li's convincing portrayal of the soft-hearted Ah Beng - complete with a leopard tattoo across his back - earns him his second Best Actor award at the annual Star Awards (2002). In a rare instance, Li's cop character is not on the wrong side of the law. It is too good to be true. Soon, Musheng (with co-star Huang Biren) is under suspicion in the case of his missing fiancee because he had bought a life insurance policy for her just before her disappearance. 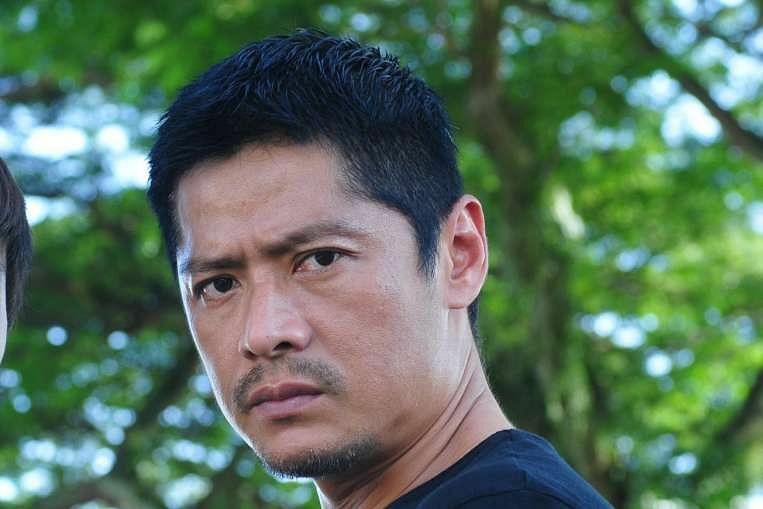 His tragic anti-hero role earns him the third Best Actor nod at the Star Awards. No longer a fresh young thing, Li plays an estranged father to a wayward teen. Ex-convict Tian is drawn back into the underworld when he is recruited by gang leader Liu Jiali (Fann Wong). The young delinquents - played by actors Edwin Goh, Ian Fang and Kimberly Chia - become overnight stars off-screen. Banking on their small-screen success, Fringe's youthful alumni and veteran Li went on to star in a triad movie Imperfect (2012).